We had a very well-attended meeting at our meeting on Tuesday, 9 January, which included visitors from The Viking Society. 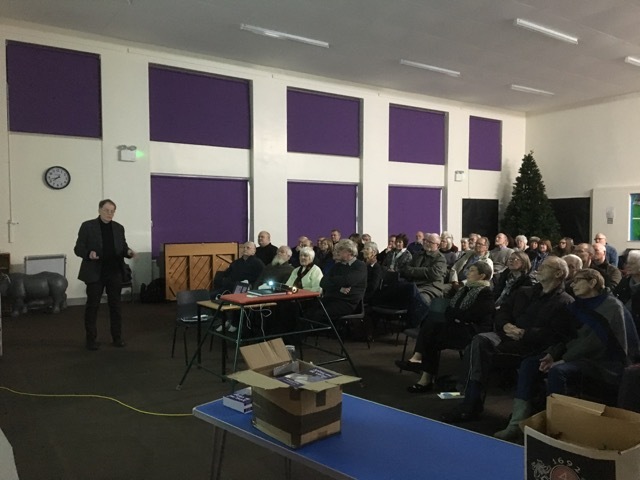 The title of the talk was “DNA and the Vikings” and Professor Stephen Harding of the University of Nottingham told us about the work being undertaken to track where significant populations of Vikings had lived in the UK and in particular in the north west. To do this, DNA samples were taken from people whose families had lived in the north west for generations. The sample set was chosen by using surnames which were found on old legal documents, such as court or church records, from pre-1700. The DNA samples were then compared with those from other areas of the country. It was shown that a significant percentage of people sampled in the north west had Viking markers on their DNA. A fascinating subject and an insight into a research technique which is still being developed.